Herbert Paul Grice (13 March 1913 – 28 August 1988), usually publishing under the name H. P. Grice, H. Paul Grice, or Paul Grice, was a British philosopher of language, whose work on meaning has influenced the philosophical study of semantics. He is known for his theory of implicature. One of Grice's two most influential contributions to the study of language and communication is his theory of meaning, which he began to develop in his article 'Meaning', written in 1948 but published only in 1957 at the prodding of his colleague, P.F. Strawson. Grice further developed his theory of meaning in the fifth and sixth of his William James lectures on "Logic and Conversation", delivered at Harvard in 1967. These two lectures were initially published as 'Utterer's Meaning and Intentions' in 1969 and 'Utterer's Meaning, Sentence Meaning, and Word Meaning' in 1968, and were later collected with the other lectures as the first section of Studies in the Way of Words in 1989. In the 1948 article 'Meaning', Grice describes "natural meaning" using the example of "Those spots mean (meant) measles." And describes "non-natural meaning" using the example of "John means that he'll be late" or "'Schnee' means 'snow'". Grice does not define these two senses of the verb 'to mean', and does not offer an explicit theory that separates the ideas they're used to express. Instead, he relies on five differences in ordinary language usage to show that we use the word in (at least) two different ways. A meantNN something by x" is roughly equivalent to "A uttered x with the intention of inducing a belief by means of the recognition of this intention". (In this definition, 'A' is a variable ranging over speakers and 'x' is a variable ranging over utterances.) Grice generalises this definition of speaker meaning later in 'Meaning' so that it applies to commands and questions, which, he argues, differ from assertions in that the speaker intends to induce an intention rather than a belief. Grice's initial definition was controversial, and seemingly gives rise to a variety of counterexamples, and so later adherents of intention-based semantics—including Grice himself, Stephen Schiffer, Jonathan Bennett, Dan Sperber and Deirdre Wilson, and Stephen Neale—have attempted to improve on it in various ways while keeping the basic idea intact. x meansNN (timeless) that so-and-so" might as a first shot be equated with some statement or disjunction of statements about what "people" (vague) intend (with qualifications about "recognition") to effect by x.
Grice's most influential contribution to philosophy and linguistics is his theory of implicature, which started in his 1961 article, 'The Causal Theory of Perception', and was most fully developed in his 1967 "Logic and Conversation", at Harvard's 'William James Lectures'. Grice makes it clear that the notion of saying he has in mind, though related to a colloquial sense of the word, is somewhat technical, referring to it as "a favored notion of 'saying' that must be further elucidated". Nonetheless, Grice never settled on a full elucidation or definition of his favoured notion of saying, and the interpretation of this notion has become a contentious issue in the philosophy of language. One point of controversy surrounding Grice's favoured notion of saying is the connection between it and his concept of utterer's meaning. Grice makes it clear that he takes saying to be a kind of meaning, in the sense that doing the former entails doing the latter: "I want to say that (1) "U (utterer) said that p" entails (2) "U did something x by which U meant that p" (87). This condition is controversial, but Grice argues that apparent counterexamples—cases in which a speaker apparently says something without meaning it—are actually examples of what he calls "making as if to say", which can be thought of as a kind of "mock saying" or "play saying". In 'The Causal Theory of Perception', Grice contrasts saying (which he there also calls "stating") with "implying", but in Logic and Conversation he introduces the technical term "implicature" and its cognates "to implicate" and "implicatum" (i.e., that which is implicated). Grice justifies this neologism by saying that "'Implicature' is a blanket word to avoid having to make choices between words like 'imply', 'suggest', 'indicate', and 'mean'". Although Grice is best known for his theory of conversational implicature, he also introduced the notion of conventional implicature. The difference between the two lies in the fact that what a speaker conventionally implicates by uttering a sentence is tied in some way to the timeless meaning of part of the sentence, whereas what a speaker conversationally implicates is not directly connected with timeless meaning. Grice's best-known example of conventional implicature involves the word 'but', which, he argues, differs in meaning from the word 'and' only in that we typically conventionally implicate something over and above what we say with the former but not with the latter. In uttering the sentence 'She was poor but she was honest', for example, we say merely that she was poor and she was honest, but we implicate that poverty contrasts with honesty (or that her poverty contrasts with her honesty). To conversationally implicate something in speaking, according to Grice, is to mean something that goes beyond what one says in such a way that it must be inferred from non-linguistic features of a conversational situation together with general principles of communication and co-operation. Conversational implicatures are made possible, according to Grice, by the fact that the participants in a conversation always assume each other to behave according to the maxims. So, when a speaker appears to have violated a maxim by saying or making as if to say something that is false, uninformative or too informative, irrelevant, or unclear, the assumption that the speaker is in fact obeying the maxims causes the interpreter to infer a hypothesis about what the speaker really meant. That an interpreter will reliably do this allows speakers to intentionally "flout" the maxims—i.e., create the appearance of breaking the maxims in a way that is obvious to both speaker and interpreter—to get their implicatures across. Given that a speaker means a given proposition p by a given utterance, Grice suggests several features which p must possess to count as a conversational implicature. Grice also distinguishes between generalised and particularised conversational implicature. Grice says that particularised conversational implicatures (such as in the reference letter case quoted above) arise in "cases in which an implicature is carried by saying that p on a particular occasion in virtue of special features about the context, cases in which there is no room for the idea that an implicature of this sort is normally carried by saying that p." Generalized implicature, by contrast, arise in cases in which "one can say that the use of a certain form of words in an utterance would normally (in the absence of special circumstances) carry such-and-such an implicature or type of implicature." 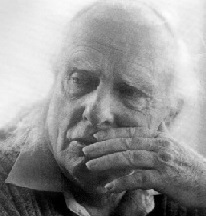 Grice does not offer a full theory of generalised conversational implicatures that distinguishes them from particularlised conversational implicatures, on one hand, and from conventional implicatures, on the other hand, but later philosophers and linguists have attempted to expand on the idea of generalised conversational implicatures. Relevance theory of Dan Sperber and Deirdre Wilson builds on and also challenges Grice's theory of meaning and his account of pragmatic inference. See Relevance: Communication and Cognition (Oxford: Blackwell, 1986). Grice's work is examined in detail by Stephen Neale, "Paul Grice and the Philosophy of Language", Linguistics and Philosophy 15: 5 (Oct. 1992). ^ a b c Richard Grandy and Richard Warner. "Paul Grice". Stanford Encyclopedia of Philosophy. ^ See discussion of this history in Russell Dale, The Theory of Meaning, Chapter 1, endnote 31, p. 34. See Chapter 2, "The Theory of Meaning in the Twentieth Century" for background on Grice's ideas in the 1957 paper "Meaning". ^ Grice 1989, pp. 213–215. ^ Russell Dale, The Theory of Meaning (1996). ^ Grice 1989, p. 219. ^ a b Grice 1989, p. 220. ^ Schiffer 1972, ch. 3. ^ Sperber and Wilson 1986, pp.21–31. ^ Schiffer 1972, chs. 4 and 5. ^ a b Grice 1989, p.86. ^ a b Grice 1989, p.88. ^ Karttunen and Peters 1978. ^ a b Kordić 1991, pp.91–92. ^ a b Grice 1989, p.44. ^ a b Grice 1989, p.37. ^ For a prominent example, see Levinson 2000. ^ Paul Grice, Studies in the Way of Words (Cambridge, MA: Harvard University Press, 1991), pp. 78–79. Grice (1941). "Personal Identity", Mind 50, 330–350; reprinted in J. Perry (ed. ), Personal Identity, University of California Press, Berkeley, 1975, pp. 73–95. Kordić, Snježana (1991). "Konverzacijske implikature" [Conversational implicatures] (PDF). Suvremena lingvistika (in Serbo-Croatian). 17 (31–32): 87–96. ISSN 0586-0296. OCLC 440780341. Archived from the original (PDF) on 2 September 2012. Retrieved 6 March 2015. Siobhan Chapman, Paul Grice: Philosopher and Linguist, Houndmills: Palgrave Macmillan, 2005. ISBN 1-4039-0297-6. [Her 2006 entry on Grice for The Literary Encyclopedia is archived by Wayback Machine here]. Herbert Paul Grice (1913 - 1988) by Peter Strawson and David Wiggins for The Proceedings of the British Academy (2001).